Looking for a new hero? Log on to League of Angels and play House of Cards for your chance to win this daunting Amazon Hunter over to your party. Raised in the jungle by wild animals, she knows no equal in the art of jungle warfare make your enemies quake with fear. This new hero possesses excellent stats which make her become an important part in your team. 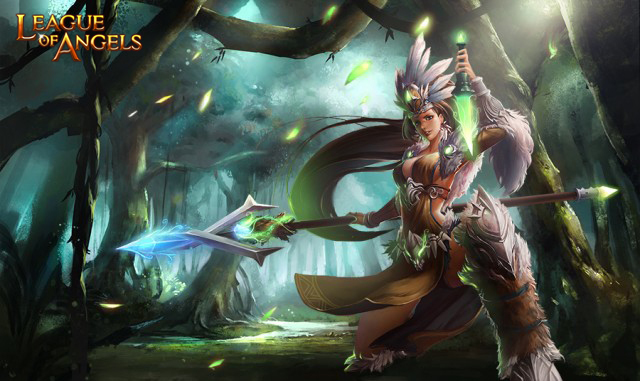 The position of Amazon Hunter is Striker, and undoubtedly she is one of the strongest Striker among all the heroes. She can deal prety huge damage to single enemy ignoring enemy’s DEF, which means she will be an essential power to support you. For those of you not familiar with House of Cards, simply collect the required cards to unlock a variety of heroes and many other rewards. House of Cards offers each player countless ways to improve your party and increase your battle rating! Attendees of PAX East will be able to experience Firefall first-hand. Weekly Recap #185 April 28th - Kingdom Under Fire II, ArcheAge, Warface & More!